An engagement is one of the most memorable moments in someone’s life, whether it be simple or extravagant, one will always remember it. People have made it into a competition to see who can come up with the most creative, eccentric, and unique ideas when proposing. A local Lakewood man, Derek Klein, with the help of Angelo’s Pizza (located on the corner of Wascana and Madison), proposed to his now fiance using pizza. Klein and his new fiance, Alexis Donahue, had met in 2015 through work. The day of the big proposal, he called Angelo’s to ask for their assistance. Though he thought it was a long-shot due to it being last-minute, according to Cleveland News, they still were eager to help him. It was even more special due to Angelo’s being one of the first date locations for the newly engaged couple. The pizza itself had cheese and pepperoni shaping the words “Marry Me?” on the front. 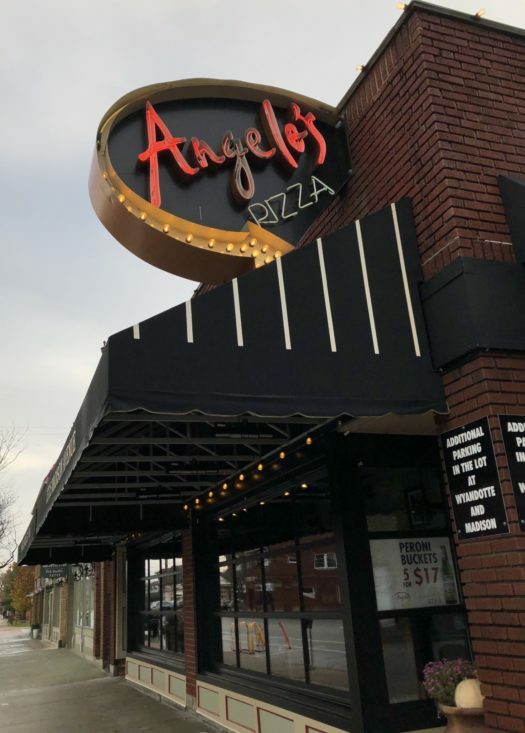 Lights began to shine down on Donahue, the pizza came out, and the whole restaurant began to turn around, eager to see what was going on. In the video, Donahue looked shocked and quite surprised, then her emotions quickly turned into excitement when she fully realized what was going on. After what was happening sunk in, she quickly said yes, followed by a hug. Whether or not you think it is too much, or too little, the idea was adorable and makes for a good memory.